BASEBALL’S ALL-TIME home run king and its most decorated pitcher will likely be shut out of the Hall of Fame in January. A survey by The Associated Press shows that Barry Bonds and Roger Clemens, as well as slugger Sammy Sosa, don’t have enough votes to get into Cooperstown. With steroid scandals still very much on the minds of longtime members of the Baseball Writers’ Association of America as they cast their ballots, the trio failed to muster even 50% support among the 112 voters contacted by the AP — nearly one-fifth of those eligible to choose. Candidates need 75% for election. So Bonds, the only seven-time MVP, and Clemens, the only seven-time Cy Young Award winner, are likely to remain outside the Hall along with career hits leader Pete Rose, who was banned for betting on baseball as manager of the Cincinnati Reds. The current ballot was announced this week and Bonds, Clemens and Sosa were on it for the first time. Votes will be cast throughout the month and results will be released January 9. 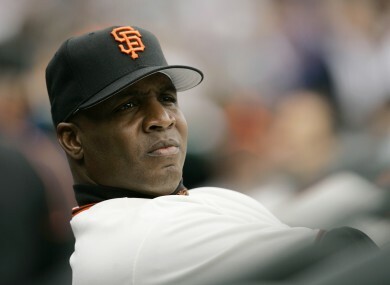 “No one would dare say that Bonds, a seven-time National League MVP with 762 home runs, isn’t a Hall of Famer,” Thom Loverro, a columnist for The Washington Examiner, wrote in a column that explained his decision. “Nor would anyone say that Clemens, with 354 career victories, 4,672 strikeouts and seven Cy Young Awards, shouldn’t be enshrined in Cooperstown. The same goes for Sosa, who finished with 609 career home runs, including 243 of them from 1998 through 2001. The Denver Post’s Troy Renck doesn’t plan to vote for them, either. San Francisco Chronicle columnist Bruce Jenkins took the opposite view. Bonds and Clemens gained far more support than Sosa in the survey. Hall voters are BBWAA members who have been with the organization for 10 consecutive years at any point. The BBWAA does not release the full list. About 8-10%of the approximately 600 Hall of Fame voters are employees of the AP or freelance writers who work for the AP, the BBWAA said. The AP contacted known voters by telephone and email from Wednesday to Friday. They were asked only how they would vote on Bonds, Clemens and Sosa: yes, no or unsure. About half asked not to be identified, and only those who agreed to be identified by name are quoted in this story. Bonds has denied knowingly using steroids. A positive test was introduced as evidence during his criminal trial last year, when he was convicted of obstruction of justice by a jury that failed to reach a verdict on charges he made false statements to a grand jury when he denied knowing using performance-enhancing drugs. Clemens has repeatedly denied drug use and was acquitted this year on charges he lied to Congress when he said he didn’t take steroids or human growth hormone. Sosa was among the 104 positive tests in baseball’s 2003 anonymous survey, The New York Times reported in 2009. He told a congressional committee in 2005 that he never took illegal performance-enhancing drugs. Bonds and Clemens fared far better in the survey than Mark McGwire did when a sample of voters were questioned by the AP before his first appearance on the ballot in December 2006. The slugger with 583 home runs received 24% support in the survey and 23.5% in the BBWAA ballot. Since then, McGwire’s support has never topped 24% and dropped to 19.5% of the 573 votes cast last January. Rafael Palmeiro, who topped 3,000 hits and 500 home runs, was suspended for 10 days in 2005 following a positive test for Stanozolol — he said he didn’t know what caused it. He received 12.5% in January. Several voters said their decisions were for this vote only and they planned to reassess their position each year. Some said that they wouldn’t consider voting for Bonds, Clemens or Sosa this year because they didn’t want them to have the additional honor of being elected on their first ballot. Players who have appeared in 10 seasons and have been retired for five years are eligible for consideration by a six-member BBWAA screening committee, and a player goes on the ballot if he is supported by at least two screening committee members. A player remains on the ballot for up to 15 elections as long as he gets 5% of the votes every year. Ballots must be submitted to the BBWAA by Dec. 31. Inductions will take place July 28. Voters were contacted by telephone and email from Wednesday to Friday. Craig Biggio, Mike Piazza and Curt Schilling also are among the 24 first-time eligibles, and Jack Morris, Jeff Bagwell and Tim Raines are the top holdover candidates. Email “Bonds, Clemens likely miss out on Baseball's Hall of Fame ”. Feedback on “Bonds, Clemens likely miss out on Baseball's Hall of Fame ”.